6 Pairs of Moisture Wicking Men's Jersey Shorts with Pockets - Great for workouts or just hanging out! Order 2+ for just $19.99 just $3.33 per pair! SHIPS FREE! 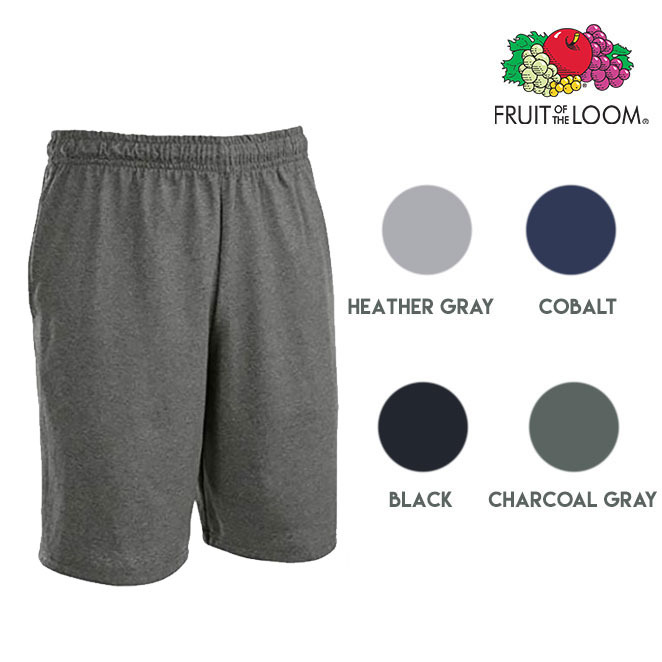 Fruit of the Loom Best™ Collection - the jersey short now looks new longer. This garment features deep pockets, reinforced seams and stays super soft, wash after wash. With an adjustable elastic waist, this is an easy every day choice. You will receive 6 total pairs of shorts. There are 4 different colors so you will receive duplicates of a few colors. Colors are: Black, Deep Cobalt, Heather Grey, Dark Charcoal Grey. Chosen at random. You will receive a total of 6 pairs - Colors are 4 assorted and chosen at random. 4/19/18 - Back again today only at an all new lower price (The op has been updated). 5/30/18 - Back again - today only. 7/25/18 - Back again - today only. 3/19/19 - Back again - today only.